Actress Zhou Xun celebrated her 35th birthday on Sunday by winning the Best Actress award at the Golden Rooster Film Festival in Nanchang, capital city of east China's Jiangxi province, the New Express reports. Zhou's contract agency, Huayi Bros., threw a big birthday party for her in suburban Nanchang on early Sunday morning just after the awards ceremony ended. 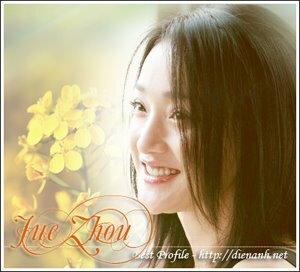 The celebration marked Zhou's birthday as well as the six awards won by the company's artists and productions. Famous directors, actors and actresses including Huang Jianxin, Zhang Hanyu, Deng Chao, Sun Li, Ren Quan and Dong Xuan attended the party hosted by actor-director Zhang Guoli. As the celebrities posed for a group photo, fireworks exploded for more than 10 minutes. Zhou was onstage addressing the guests when her mobile phone rang. Upon the request of the host, she held her phone in front of the microphone so all could hear her boyfriend, real estate heir Wang Shuo, wish her a happy birthday.